Here is a cool blog on the Australian chess scene. I just stumbled onto this. work together to win a practice match against Darcy’s mum. 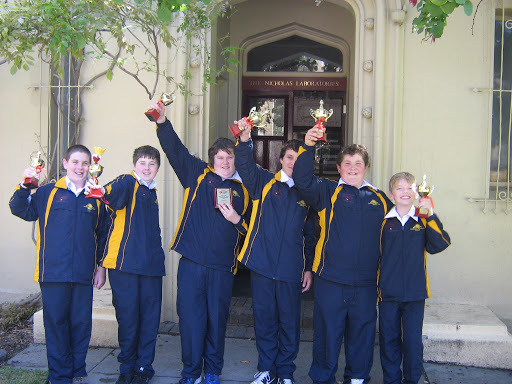 ‘KILVINGTON Grammar students are making waves in the chess world. 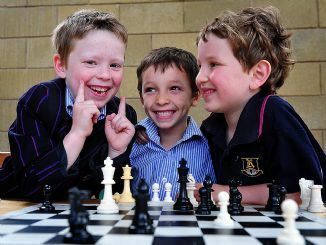 Darcy, 6, Aaron, 6, and Oliver, 5, recently competed in the Chess Kids Interschool Chess Championship at the University of Melbourne. In Canada it’s chess and math but in Western Australia it’s chess and …art! A papier-mache arts project started students at Kendenup Primary School onto the road of chess. ‘Six students from Kendenup Primary School made a triumphant return to Albany this week after coming runners-up in a major national chess tournament. The talented group spent two days competing against 15 other primary school teams in the National Chess Kids Tornelo Tournament held in Melbourne this week. As well as convincingly taking second place in the competition, which is the biggest of its kind in the country, the Kendenup students achieved the best ever result by a Western Australian school. Their achievement was all the more remarkable as it was only their second year to take part in the event, after coming in eighth place last year. James Gray, Ethan Palfrey with their runners-up trophies. ‘A papier-mache arts project sparked a strategic chess move that has taken young students from a small Great Southern community to a national championships….The love of chess was sparked last year when Kendenup primary students made chess pieces from soft drink bottles and papier-mache for an art project. 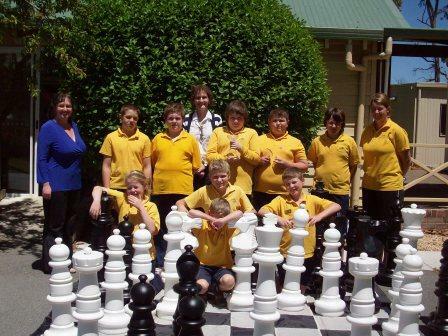 ‘STUDENTS at Kendenup Primary School have gone from being chess novices to State champions in less than a year. “With the help of local chess player Bill Sandilands and teacher Raelene Palfrey and myself – who students took great delight in beating when they could – they were able to practice new moves,” she said. Students Jayden Williams, Joel Gray, Alex Bolton, Isaak Bateman, James Gray, Caitlin Hillman, Tom Hillman and Matthew Hillman first won the local competition in September which was held in Gnowangerup and earned them a spot in the State finals. State-winning students who travelled to Perth to compete were Joel Gray, Jayden Williams, James Gray, Alex Bolton, Dale Osborne and Izaak Bateman. James Gray was runner up individual student in the primary division, Jayden Williams placed third and Alex Bolton and Joel Gray were equal fourth. “Needless to say there were many phone calls to the waiting and supportive teachers and students back at school and much interest in this new ‘chess school’ from all involved in the tournament organisation in Perth,” Heather said. Photo: Kendenup Primary School students will travel to Melbourne to compete in the National School’s Chess Championships. 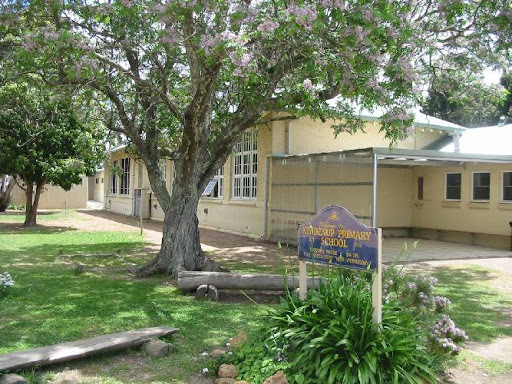 ‘Established in 1922, Kendenup Primary is a rural school approximately 18 kilometres north of Mount Barker and 4 kilometres east of the Albany Highway. The school is a Level 4B school. The school has community connections and receives assistance from the school community in academic, sporting and cultural events.